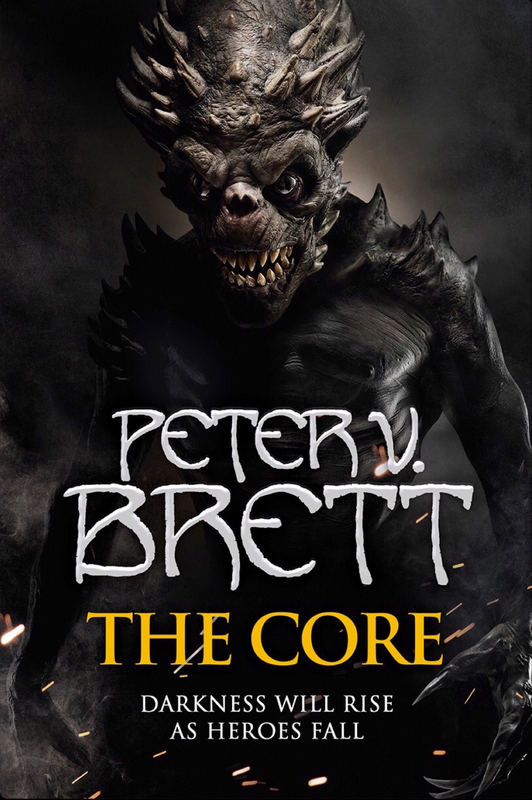 The Core is the fifth and final book in the Demon Cycle series. Being the final book in a series always carries a two edged blade as it must be a good story on its own and it must bring a satisfying conclusion to the overall story. It’s no small feat considering the world Peter V. Brett has created. With a dozen or so characters strung out in various plots all woven around an ultimate war with the demon armies in the Core, it’s a big story. As a fan of the series that has followed it from the beginning, I’m very happy to say this book does a great job of spinning an entertaining tale and providing a great conclusion to an epic journey. It goes without saying, if you haven’t read the previous books, don’t jump into this one. Just know it’s a great series of fantasy, magic, rich, complex characters, and an intricate series of storylines that create a wonderful experience. Read no further as we now journey into spoiler territory. As the title says, this adventure heads to the Core. The characters say their farewells to the surface world and make their last preparations for the war to come. With the king of lies guiding their way, Arlen, Jardir, Renna, Shanvah, and Shanjat begin their decent with treachery at every turn. They learn new limits to the realm of magic, and make discoveries of the past. Those revelations shock some to the foundations of who they are, and brings others to a more concrete faith in their existence. Ultimately they find the Queen of demons and unleash the final battle. On the surface, the other characters fight for their lives against legions of demons the likes of which they’ve never seen before. They must pull out every trick to keep their kingdoms from being annihilated. In the end, there’s just the right amount of conclusion to everything. People live, people die, and new characters are born. New alliances are forged and new rulers rise to power. But not all the plotlines are concluded. A few are left open, either for readers’ imaginations, or the possibility of future stories. Either way, The Core delivers an engrossing, fantastic tale that kept me entertained from beginning to end. It was a great ending to an epic series. I give it a five out of five metal bikinis and highly recommend it.